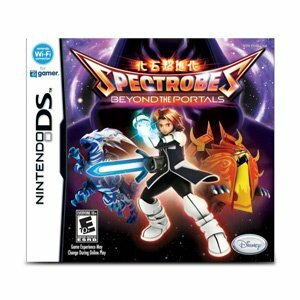 Spectrobes: Beyond The Portals for Nintendo DS is the sequel to the highly popular anime-inspired, sci-fi action/role playing game series Spectrobes. Spectrobes: Beyond The Portals continues the story of Rallen and Jeena, interplanetary patrol officers who discover, excavate, awaken, and train mysterious fossilized creatures known as Spectrobes and then use them to battle enemies. The story evolves around the origins of ominous portals that lead to distant dimensions and a new nemesis who hopes to destroy the Spectrobes. Enjoy a wealth of new features, including a new three-dimensional perspective, a map to assist with exploration, new excavation and battle features, and more. And, for the first time, players can take on the role of either Rallen or Jeena!